October is the month when we turn the corner. Days become shorter, the breeze has a bite to it, and we stay curled up in bed a little bit longer. In September, we are still holding onto summer days and warmer evenings. In October, the fiery leaves remind us to embrace change. Leaves fall without having a choice but to fall, and we have no choice but to let go. However, there is comfort in letting go. There is strength in knowing what we can draw from to find comfort. The key for me has always been about balance– I find that I’m either diving head first into the deep end, or standing on the shore, not willing to even dip my toes in. Autumn is a bridge between summer and winter– and it doesn’t have to be a painful walk, if we know what we’re willing to leave behind. Creature Comforts: things that contribute to bodily comfort and ease of mind, as food, warmth, or sleep. As we prepare for cooler months ahead, we seek warmth and comfort from within and without. While we associate our ‘creature comforts’ with our weaknesses, the origin of the word “comfort” has its roots in the word ‘strength’ ( from com- (expressing intensive force) + Latin fortis ‘strong’). Indeed, being comforted and comforting others can strengthen us. 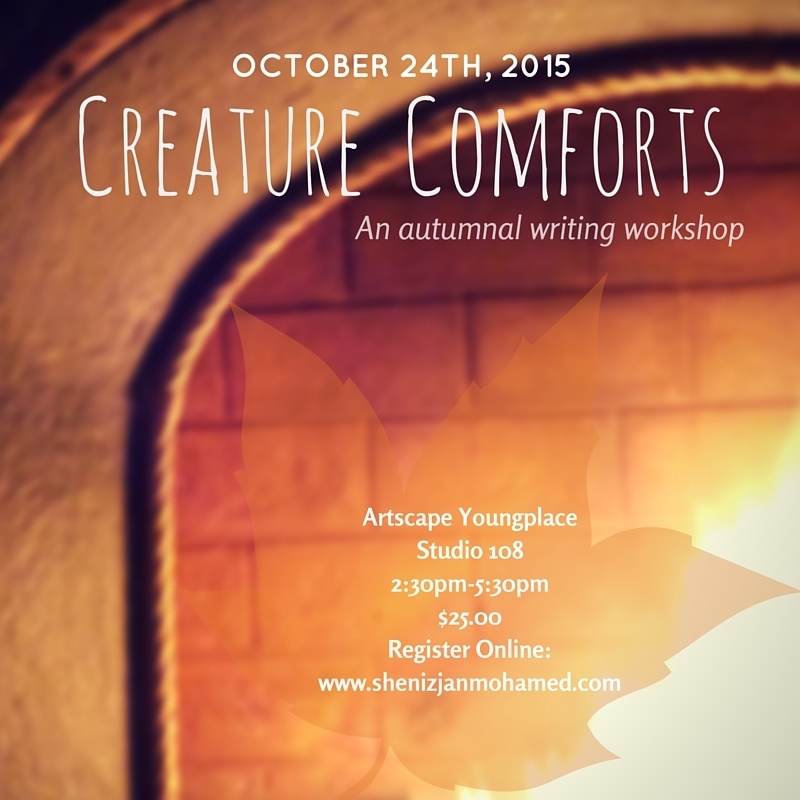 In keeping with these themes, I have decided to offer a writing workshop: Creature Comforts. I think that any transitional period requires a revisitation of self-care practices, a renewal of joy, and a reflection upon letting go. – Analyze the etymology of the word “Comfort” and how it changes our relationship to the things we find comfort in. 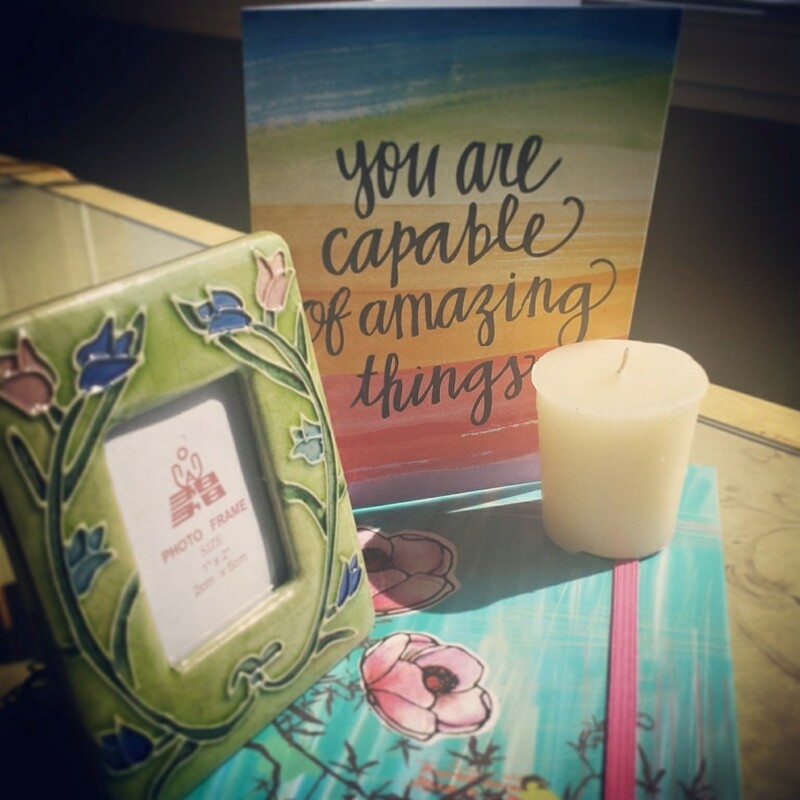 The 5th person to register will win a prize pack courtesy of Nadiya Virani Design. Join us in embracing Autumn!